Realization of DRYERS WITH TURNING CONVEYORS where the material is turner at every shelf. This dryer can run at 200°C depending on the type of material to be dried. The high efficiency value is raising from the coefficient of the thermal exchange since the air can be fed to every shelf at very high and adjustable speed. The thermo dynamicity of the cycle can be programmed by the user and the relative temperature and humidity are automatically kept, independently from the loading flowing. 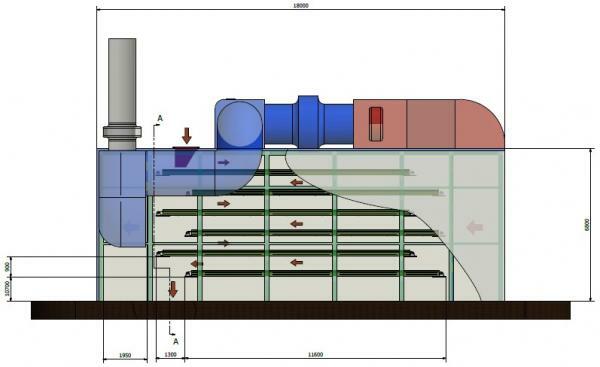 The possibility of working with a total recycle system allows to avoid any thermal waste due to the “surplus of air”. The air coming from outside is really in minimum quantity being linked to the quantity of the evaporated substance to feed outside the dryer. This machine is ready to run with any type of material of limited size (up to 5-10 cm), and it is also suitable, with some upgrading, in case of presence of chemical substances, even including deflagrating particles. 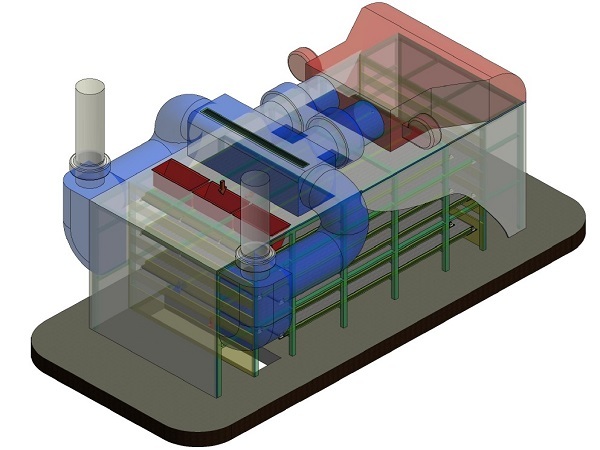 In a comparison with the dryers based on rotating drums equipped with high power motors being capable to support the high weight of the material (KW/h) and equipped with direct air burners that need elevated thermal power, the energetic cost of this dryer is of approx 50% t lower, (kW/h – mcGAS).